More than two decades have passed since Microsoft co-founder Bill Gates published his landmark “Content is King” essay. At the time, Gates was still CEO of Microsoft, and he was focused on transforming the company from a software development firm into a multifaceted technology giant; one of the first steps he took in this regard was forging a partnership with NBC television network to create the MSNBC cable news channel as well as the internet news portal that eventually became NBCNews.com. Although Gates’ essay was mostly centered on online content as a business model, he made a couple of good points related to quality: he stressed the importance of delivering up-to-date information with enough depth to keep internet users informed and engaged. He described the allure of educational content. When authors set out to create content, they do not have to limit themselves to just one goal. A digital video presentation, for example, can be informative, entertaining, educational, and engaging all at once. Some of the best content is produced for the purpose of achieving more than one goal; infographics are often made to be informational and entertaining, and a documentary such as “The King of Kong,” which won several awards in 2007, manages to inspire while telling a great story about the world of competitive arcade video gaming. A mix of information with entertainment is the most common combo used for content creation, and this strategy is often used in television commercials because it lends itself to convincing and selling. Educational content is often created to stand on its own, but it can certainly be entertaining, informational, inspiring, and engaging. Content that educates is not limited to manuals and textbooks; other examples include tutorials, how-to guides, recipes, product reviews, and step-by-step videos. Educational content is powerful because of its helpful aspect. People are constantly in search of explanations and solutions, and this is where educational content shines. The success of websites such as WikiHow, which provides helpful online guides, and Vox with their reports of news along with thoughtful explanations, is proof of the allure of educational content. The right educational content makes a lasting impression on consumers. Companies that know about problems that their customers have should strongly consider creating content that can provide solutions. Educating customers is an indirect appeal method that can go a long way in terms of connecting with them; the idea is to offer something that only provides value without asking for patronage. Brands that do not offer any educational content when they should are effectively risking their reputation and customers. Here’s an example: A customer has a smartphone stuck in a loop that can’t load to the home screen. If the customer went to the website of the manufacturer searching for a solution that isn’t there, they will resort to other sources. A quick Google search can help them find a how-to video on resetting a smartphone. If this information was on the website of a competing manufacturer, they will likely keep this in mind for the next purchase. The manufacturer is providing a solution that works with other devices too; the value to customers is that they can reset their smartphones on their own without having to visit a repair shop, and the value to the manufacturer is positive branding plus a competitive edge because other companies are not offering this content. Now that new employee orientation sessions have mostly moved online, human resources departments can develop their own digital content to this effect, particularly when dealing with employees who work at remote locations. 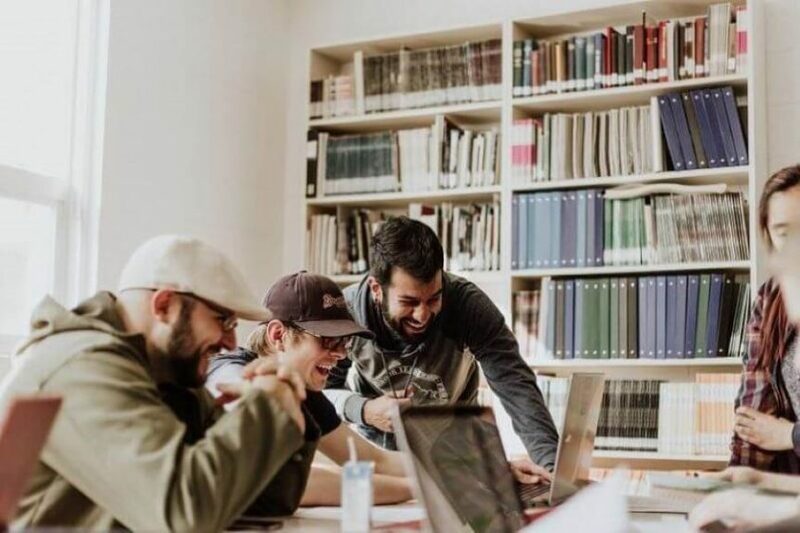 Even though marketing departments appear to have taken over the world of digital content, corporate teams can make good use of educational content to help them with certain business processes. Marketing professionals who make strategic use of educational content understand that thirst for knowledge is a human trait that will never go away. People do not like problems, but they certainly enjoy finding the right tools to solve them, and they are likely to remember the places where they found solutions. Sources of educational content tend to be highly appreciated and remembered because of the value they provide, and this can be an excellent tactic to attract and retain consumers. Content that educates has a high appeal and will never go out of style, but getting the right creation and delivery is not so easy. When setting out to educate, it is crucial to avoid using dry content such as overly technical manuals and rigid step-by-step guides that essentially rehash manuals. Just like informational, inspirational, and entertaining content, educational articles, guides, videos, and audio programs need to be friendly and of the highest quality. Lisa Michaels is a freelance writer, editor and a striving content marketing consultant from Portland. Being self-employed, she does her best to stay on top of the current trends in business and tech. Feel free to connect with her on Twitter @LisaBMichaels.